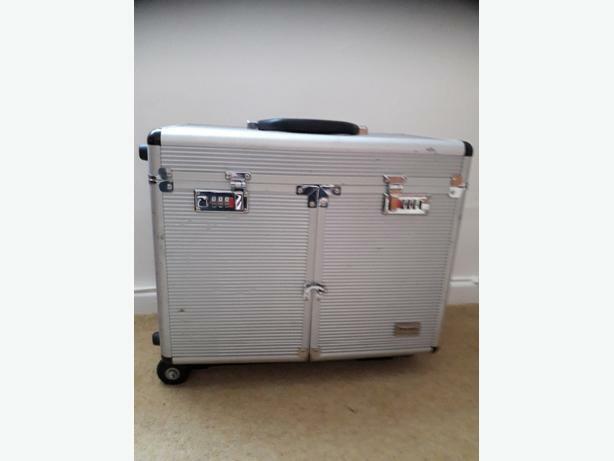 Aluminium professional portable make up case with wheels and expandable handle. Combination lock. Used but perfect working order. Great for make up artist/student.